Although it doesn’t seem possible, Season 3 of Riverdale is about to get even better because get this — it was just announced that there’s going to be another musical episode this season! When the cast did their rendition of Carrie: The Musical in Season 2, it was honestly one of our favorite episodes, so when the news hit the web that they were going to take the stage again, naturally, we all freaked out. The third season of the CW show has definitely been a wild ride so far. From Archie going to jail to Veronica and Reggie becoming a couple, there have been a ton of twists and turns. We’re constantly on the edge of our seats, and we’re seriously loving it! But prepare for some more fun, guys, because on March 20, 2019, our favorite characters will be putting their own spin on Heathers: The Musical. Um, does that mean that we’ll finally hear Jughead belt out a tune? 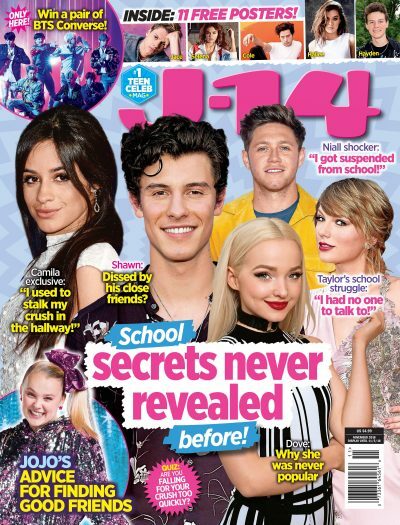 J-14 readers know that everyone else in the show has performed a musical number at some point, except for Cole Sprouse‘s character, so we are totally here for this. Roberto also took to Instagram, where he shared a list of who will play each role in the musical, but there was something on the list that quickly caught everyone’s eye. You may notice that the list includes Archie, who has been MIA from Riverdale for most of the season. We guess that means that he’s coming back to town this season! Yay! When the Riverdale High students performed Carrie in Season 2, it didn’t end well for them. In case you forgot, the episode concluded with Midge tragically being murdered by the Black Hood. We’re hoping that this time, nobody ends up dying, but there’s no promises because let’s be honest, it wouldn’t be an episode of Riverdale if it didn’t have some major drama, right? Guess we’ll have to wait and see what happens!